Exposing the developing brains of youth and young adults to nicotine puts them at risk for long-lasting brain risks including nicotine addiction, mood disorders, and permanent lowering of impulse control. In addition, the vapor from e-cigarettes can contain other harmful and potentially harmful chemicals, including a flavoring agent called diacetyl, which is linked to serious lung disease, volatile organic compounds like benzene, which is found in car exhaust, heavy metals like nickel, tin, and lead, as well as other ultrafine particles that can be inhaled deep into the lungs.1 For more information, visit the U.S. Surgeon General's web page about e-cigarettes and young people. There are three different types of cigars sold in the US: large cigars, cigarillos, and little cigars. Cigars contain the same harmful compounds that are found in cigarettes. Health risks associated with cigars include gum disease, tooth loss, and cancers of the lung, esophagus, voice box, and oral cavity.2 For more information, visit the Centers for Disease Control and Prevention web page about the health effects of cigars. 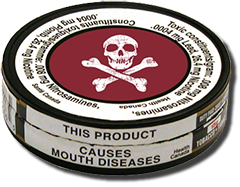 There are many names for smokeless tobacco, including chewing tobacco, oral tobacco, spit or spitting tobacco, dip, chew, and snuff. Whatever the name, smokeless does not mean harmless. These types of tobacco products contain addictive nicotine, as well as chemicals and other substances that can cause cancer.3 For more information, visit the Centers for Disease Control and Prevention web page about the health effects of smokeless tobacco. Although many think that smoking hookah is less harmful than smoking cigarettes, it has many of the same health effects. 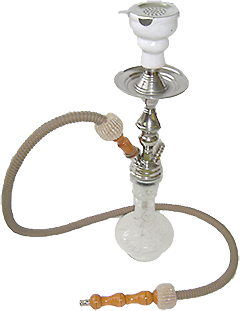 Smoking hookah delivers nicotine, which is the same addictive agent found in other tobacco products. The charcoal that is used to heat the tobacco in hookahs can produce high levels of carbon monoxide, metals, and other cancer-causing chemicals. Hookah tobacco and smoke contain harmful agents that are known to cause lung, bladder, and oral cancers.4 For more information, visit the Centers for Disease Control and Prevention web page about the health effects of hookah.